Decades have passed since the Collapse. Our world has twisted and twined into something unrecognizable. The ruination of civilization was compounded by a return of impossible powers, ancient myths and forgotten tales. Conjuring and cunning exist side by side and a dangerous, lascivious, new reality that is whispering its seductions to some whilst rending others apart. When the world collapsed in on itself, a young witch named Maggi Lopez fled east with her partner and child. The mistakes she made in youth now serve to damn her as she races against the clock of her own mortality to save her son's future; crossing magic-laden, ghost-infested, post-apocalyptic America in a riveting journey of redemption, sacrifice, and ancient gods. 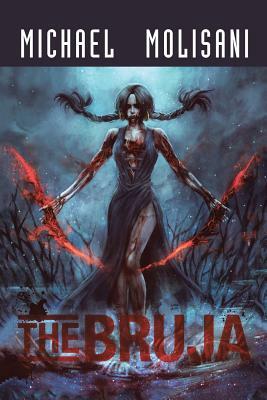 At the end of her journey, the greatest horror she may need to face is herself.